African Export-Import Bank (“Afreximbank” or the “Bank”) is a supranational financial institution based in Cairo, Egypt and with operations in Abuja, Abidjan, Harare and Kampala. As at 31 December 2017, the Bank’s Authorized Share Capital amounted to US$5,000,000,000 consisting of 500,000 ordinary shares of US$10,000 each. 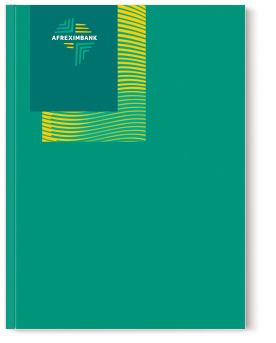 Afreximbank has four classes of shares – A, B, C and D: “Class A” shares are held by African Governments/States, their public institutions or their designated institutions, including continental, regional, and sub-regional financial institutions; “Class B” shares are held by African national financial institutions and African private investors; “Class C” shares are held by non-African international financial institutions and economic organizations, as well as non-regional financial institutions and non-African private investors; while “Class D” shares can be held by any person and are structured to be freely transferrable – the Bank’s “Class D” shares are currently issued as depositary receipts, which are listed on the Stock Exchange of Mauritius (SEM).